My previous fall number sort was such a hit, that I decided to tweak it a bit and make another one. 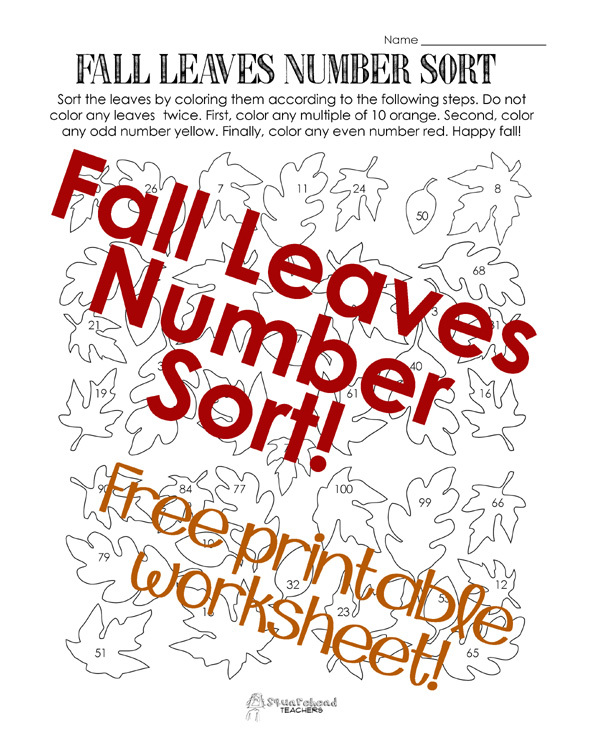 Sort the leaves by coloring them according to the number inside (tens, evens, odds). Enjoy! This entry was posted in Halloween, Holidays/Seasons, Math, Thanksgiving/Fall and tagged autumn, Children, Education, Elementary School, evens, fall, Homeschool, Kids, Math, numbers, odds, Teacher Resources, Teachers, Teaching by Squarehead Teachers. Bookmark the permalink.